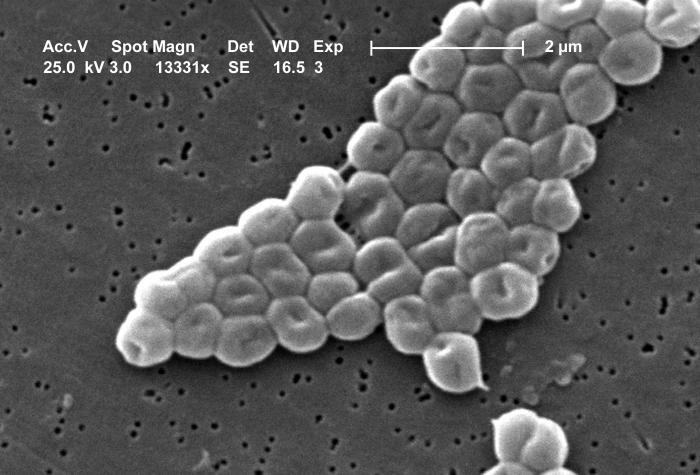 Under a magnification of 13331X, this scanning electron microscopic (SEM) image depicted a cluster of Gram-negative, non-motile, Acinetobacter baumannii bacteria. Members of the genus Acinetobacter are nonmotile rods, 1.0-1.5µm in diameter, and 1.5-2.5µm in length, becoming spherical during their stationary growth phase. They are widely distributed in nature, and are normal flora on the skin.